IN STOCK USED GEAR LIST HERE! We Offer a Huge Selection Of The Best New and Used Guitars and Basses Around! Gear from Fender, Ibanez, B.C. Rich, ESP, LTD, Jackson, Taylor, Martin, Alvarez, Yamaha, Line 6, Hagstrom, Squier, Ovation, and many others. We also have a huge selection of amplifiers and effect pedals. Our staff carefully inspects and tunes up every instrument as it enters and leaves the shop. Your instrument will play perfectly before it leaves the store. Our sales team is dedicated to helping you find the perfect guitar for your needs and dreams. 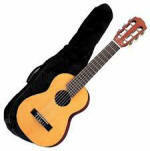 At Wood Bros. Music, we carry only instruments that we feel are up to our standards. We are also dedicated to the success of new players in learning how to play, we want you to come back and see us for years to come, so we only carry guitars that we know will give you the best chance at mastering the instrument you purchase from us.